Florida SBDC Network Headquarters (Pensacola, Fla.) – The Florida SBDC Network, the state’s principal provider of business assistance, is pleased to announce the winners of the 2018 Performance Excellence Awards. The awards, which were presented June 13 in Fort Lauderdale as part of the network’s annual conference, recognized top personnel, volunteers, and partners for their contributions to the network’s mission of helping the state’s small businesses grow and succeed. The Florida State Star Award was presented to Cheryl Lynch, a business consultant for the Florida SBDC at the University of North Florida (UNF) serving Putnam County. The State Star award, the highest accolade achievable by SBDC employees, recognizes extraordinary performers who have made strong contributions to their state network. A top performer, Lynch secured supplemental funding in 2017 for the Agricultural Export Marketing Plan, a pilot scholarship program that offers Florida farmers and value-added food producers a customized plan to expand into international markets. She is well-respected in her community, having organized a special project with the Palatka Housing Authority to train and fund business start-ups from among its residents, facilitated a successful teen entrepreneurship conference, organized an angel investor group, and coordinated a series of business workshops for the Ragsdale Family Center. As part of the award, Lynch will be honored among State Star awardees from SBDCs across the country as part of the 38th Annual America’s SBDC Conference in September in Washington, D.C. The Florida Employee of the Year Award was presented to Kevin Peterson, a consultant and marketing coordinator for the Florida SBDC at the University of West Florida (UWF). Peterson spearheaded Small Business Night with the Pensacola Blue Wahoos and Pensacola Ice Flyers, a networking opportunity for entrepreneurs and small business owners in Northwest Florida. Additionally, Peterson cultivated and launched successful radio campaigns. The Florida Rising Star Award was presented to Blake Stockton, a business consultant for the Florida SBDC at UNF. The award, which honors employees under the age of 35 with less than five years of service with the network, was presented to Stockton for his leadership in leveraging social media and digital marketing to market and deliver services to clients in Northeast Florida. The Florida Best Practice of the Year Award was presented to the Florida SBDC at UWF for its Small Business Management Program, an intensive, nine-month course offering comprehensive business education, peer-to-peer interactions, and ongoing business consulting. Led by consultant Glenn McDuffy, the program has helped clients achieve significant impact, including increased sales of $1 million, 36 jobs impacted, over $2 million in capital raised, and over $230,000 in government contracts acquired. 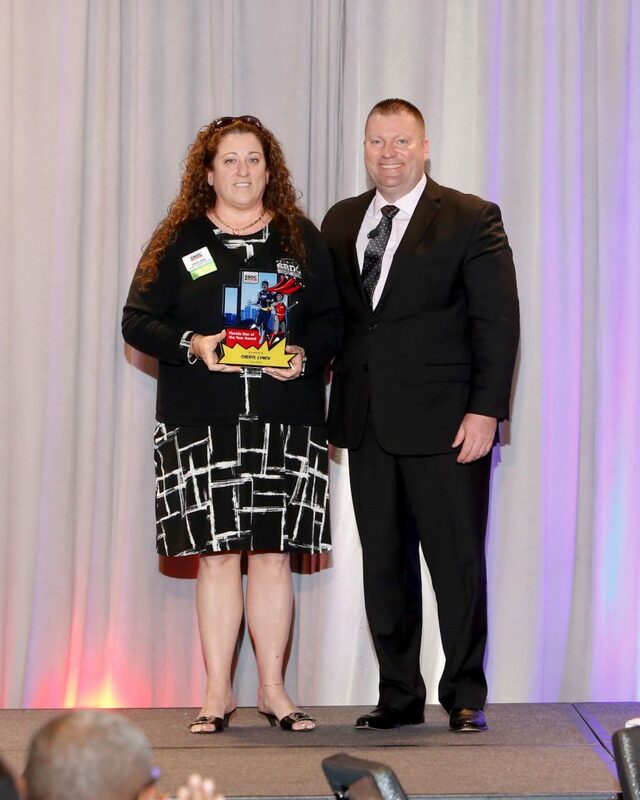 The Florida Volunteer of the Year Award was presented to Denise Clemence, SBA Specialist for ReadyCap. Clemence, a lending professional specializing in SBA loans, has volunteered with the Florida SBDC at the University of South Florida (USF) for over 10 years, including serving on the region’s emergency bridge loan committee. The network awarded the Florida Student Project of the Year Award to the Florida SBDC at USF in recognition of the region’s work with USF MBA Capstone students. The student team provided Tampa-based Ferrill Construction Company with a strategic report to examine the area’s economic and competitive environments to help the company grow. As part of the awards, the network also recognized exemplary employees and partners for making significant contributions to their respective SBDC regions and for achieving service year milestones. Regional awards were earlier presented to recipients at local events organized by the regional center. View the regional and service year winners here. 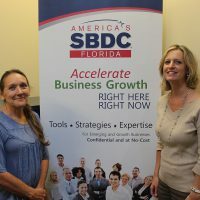 Partners make the work of the Florida SBDC Network possible. The network’s 2018 sponsors included United Midwest Savings Bank, Florida First Capital Finance Corporation, the Jim Moran Institute for Global Entrepreneurship, Florida Capital Bank, LandrumHR, Florida Lottery, GrowthWheel, Nav, and Florida Trend.